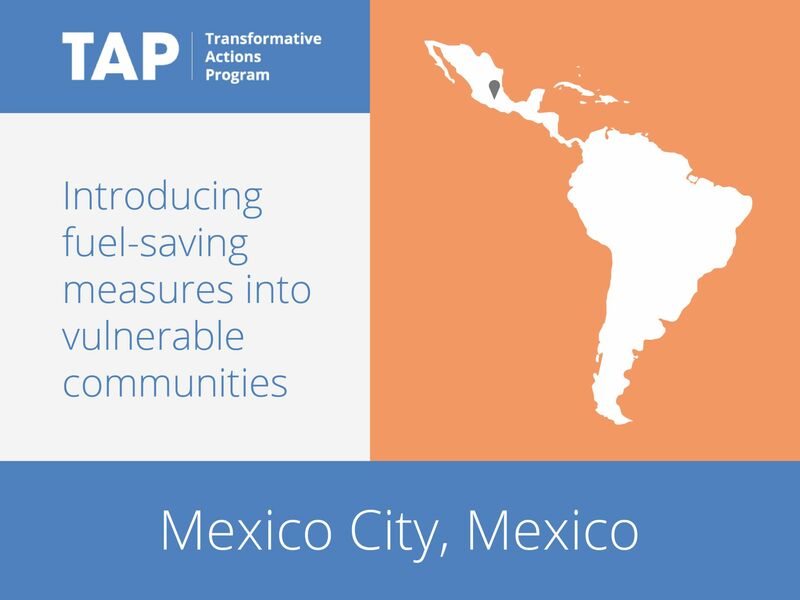 In Mexico City’s poorer districts, fuel poverty is a major issue. The city is therefore attempting to increase access to fuel, as well as to provide more renewable energy and increase the energy efficiency of appliances. One pilot project, in cooperation with the private sector, will provide cooking stoves that do not emit harmful gases or smoke. This will help to reduce pollution and to improve the health of citizens. Collectively, the initiatives will impact over 3,500 of the poorest inhabitants and will contribute to resilience and emissions reduction efforts.